Professional carpet installation in Sydney is important so that your new carpet looks its best for many years into the future. The last thing you want is for your carpet to be laid incorrectly and have wrinkles and creases appearing, which detracts from its appearance. As specialist carpet installers in Sydney, we make sure that we lay your carpet in accordance with the Australian Standards Association Carpet Installation Recommendations AS2455-1955. 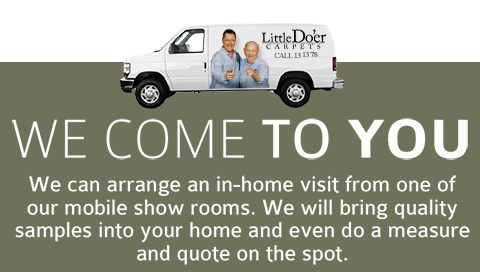 You can always be sure of perfectly laid carpet with Little Do’er Carpets. Laying carpet in Sydney residences and commercial properties isn’t always easy, which is why we ensure that our technicians are fully trained in all aspects of laying carpets. Don’t forget if you haven’t had your carpet professionally installed, in some cases you can void the warranty that comes with your carpet. Make sure that you have made arrangements with us to move all of your furniture out of the spaces where the new carpet will be laid. Also, if you are having carpet laid in a new build home, then make sure that someone is there to open the home for us when we arrive and that the floor is clean and ready to go. When we arrive, we will ask you to check that the carpet and underlay are as ordered by yourself and will commence the installation process. When we install carpet in Sydney, we make sure that your carpet has no wrinkles, that any seams are correctly sealed (and are parallel to traffic) and that the carpet runs in the same direction throughout your home or commercial building. Our carpet installation prices in Sydney are very competitive, so it always pays to have your carpets professionally laid.